The ACRM Awards Committee is proud to recognize Gary R. Ulicny, PhD, FACRM, President and CEO of GRU Healthcare, with the highest honor given by ACRM, the Gold Key Award. Dr. Ulicny has been involved in medical administration for over 30 years. He is currently the President and CEO of GRU Health Care, an international consulting group specializing in building business and treatment cultures that promote excellence. For almost 23 years, he served as the President and CEO of Shepherd Center in Atlanta, Georgia, a 152-bed hospital that specializes in the treatment of persons with spinal cord injuries, brain injuries, and other neuromuscular disorders. During Dr. Ulicny’s tenure, Shepherd Center has for 14 years been ranked in US News & World Report as one of the best rehabilitation hospitals in the nation, been presented with the Edward Loveland Award for Distinguished Contributions in Healthcare by the American College of Physicians, selected as the Hospital of The Year by the Georgia Alliance of Hospitals, and named one of Atlanta’s Best Employers by the Atlanta Business Chronicle, and Atlanta magazine. In addition, Shepherd Center has enjoyed model systems designation, both for spinal cord and brain injuries by the National Institute on Disability, Rehabilitation and Research. Dr. Ulicny received the Atlanta Business Chronicle’s Lifetime Achievement Award for contributions to healthcare and was elected as a Fellow of the American Congress of Rehabilitation Medicine. 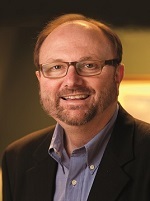 Dr. Ulicny received his PhD in behavioral psychology from the University of Kansas in 1986. He is published extensively in the area of rehabilitation and has held adjunct appointments in the School of Medicine at the University of North Carolina-Chapel Hill and in the Department of Human Development at the University of Kansas. Dr. Ulicny is a member of numerous professional organizations, served on the national board of the Head Injury Foundation and served as the President of the American Congress of Rehabilitation Medicine Dr. Ulicny and his wife Jane have two sons.